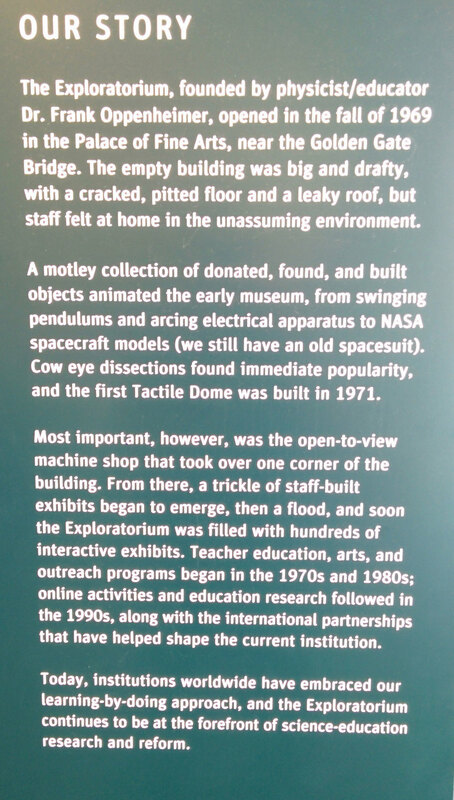 The old Exploratorium, one of the original and still one of the very best hands-on science museums in the world, which was housed near the Palace of Fine Arts in San Francisco, recently moved to much larger and more spectacular space right on Fisherman's Wharf. This was my first chance to visit since they moved, and the new building is spectacular. 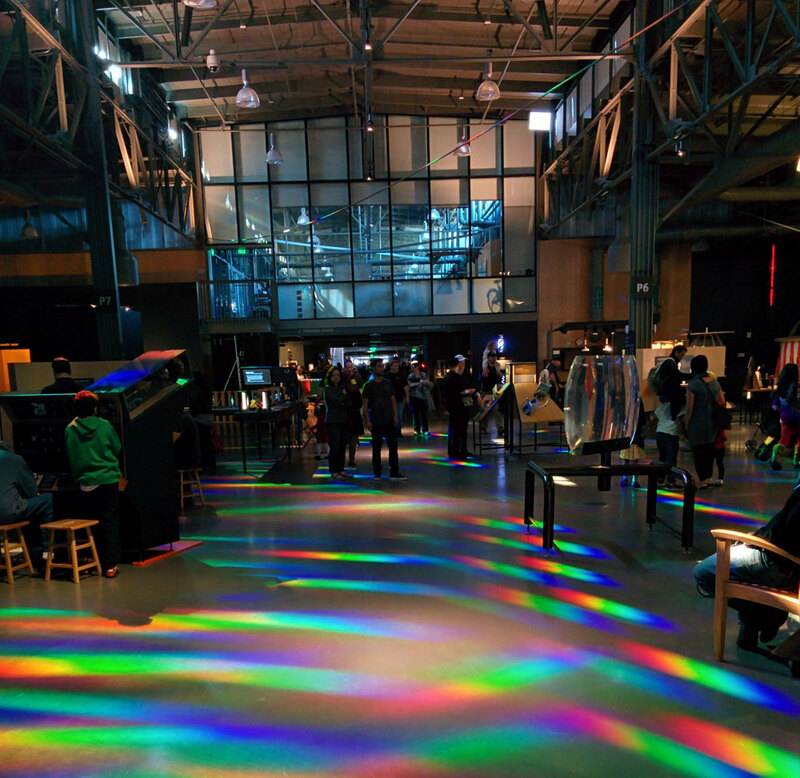 This is one of the things we hope to be able to replicate; making exhibit building an integral part of the visitor experience at Impression 5 and a model for the process of innovation. Posted on November 18, 2013 by Thomas Deits.